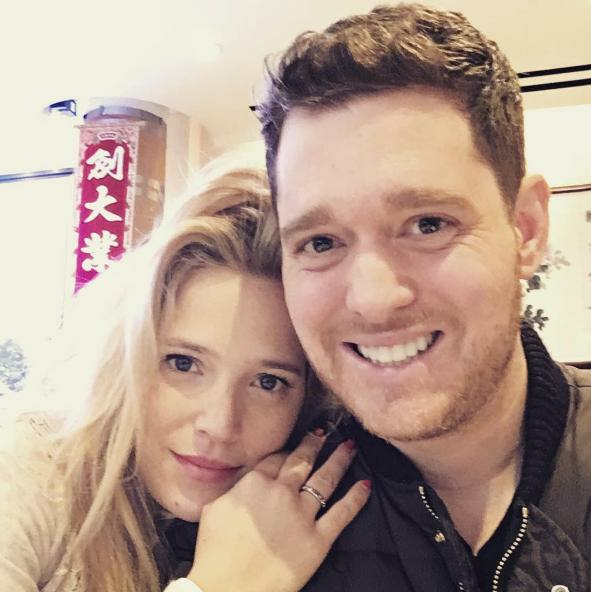 It's been the world's worst kept secret, but Michael Bublé has confirmed that he and wife Luisana Lopilato are expecting their third child. Michael Bublé announced the happy news in style - while hosting the 2018 Juno Awards in his native Canada, as you do. "You have filled me up with joy and love and luck. And I'll tell you why," he said. "It is luck, because five years ago, when I hosted the first time in Regina, you brought me luck and I was pregnant with my — I mean my wife was — I mean, we were pregnant with our first child, and here I am, five years later, and you brought me — oops, you did it again! "My wife and I are pregnant with our number three." He then blew his wife a kiss, and said, "I love you so much, mi amor. I love you." Rumours of a third baby have been rumbling for weeks now, with reports first emerging back in February. Bublé has taken a step back from the spotlight since their eldest child Noah was diagnosed with liver cancer last year. Thankfully, it was reported in late 2017 that Noah was on the road to recovery and is doing "well". "Thank God, my son is well," Lopilato said during a press conference in April. "When things like those that happened to us occur, you take on life changes. It happened to us. Now I value life much more, the now and the today." Michael Bublé will headline British Summer Time in Hyde Park on Friday, July 13 - which will be his only UK show of the year.